When asked what sets herself and her teammates apart from the competition, Maude attributed Southern Oregon Roller Girls League. “This league cares so much for our community. We have adopted a portion of the Greenway between Phoenix and Talent and do bimonthly rubbish runs. In 2011, we dedicated turn three of our flat track to Special Olympics Jackson County and we hold twice yearly food drives. We care about our teams and our service to the community deeply,” she said. With more than 10,000 visitors each year, it’s no wonder that Table Rock won the best area for hiking. Two main hikes comprise this trail system and are both worthy of the awesome views at the top. Lower Table Rock trail is 1.75 miles long, moderately difficult, and half a mile longer than Upper Table Rock Trail. If you visit in the springtime you are likely to spot some of the most colorful flower displays in the region. In addition, the area is home to over 70 species of animals and 340 species of plants. Bonus for the nerd at heart: the federally threatened Branchinecta lynchi (fairy shrimp) can be found in the vernal pools at the top of the plateaus during the rainy season. 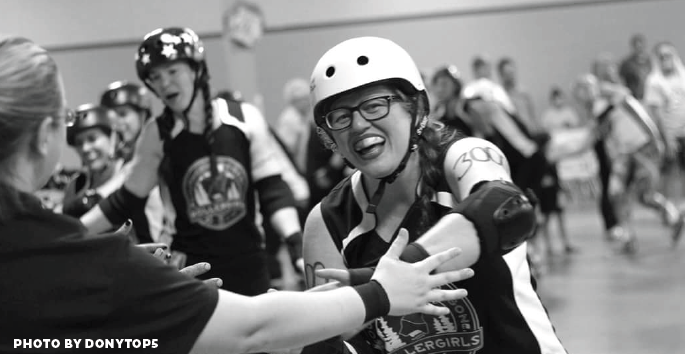 Thank you so much for honoring Naughty Maudie 3000 and the Southern Oregon Rollergirls. Their love for their community is unsurpassed. These ladies are awesome individually and as a TEAM, they do it all.